On February 4, 2016 at 10.30 am. In the Club of AGBU Plovdiv Chapter gathered students who study the Armenian language at the Saturday school. The occasion was the celebration of Vartanants. Since the end of 2015, the children who study Armenian language at Saturday School to Plovdiv AGBU study program of AVC. A step towards their integration into this program was made through an online meeting with AVC February 4 – the day of St. Vartan. Arpine Tavakalian and Zepyur Kheblikian from the team of the hybrid program AVC held a meeting with Plovdiv children. Additionally, related with the topic – St. Vartanantts, the meeting passed in a dialogue during which children were spoke about themselves. Then they visited the Armenian Church and attended the service dedicated to the celebration. 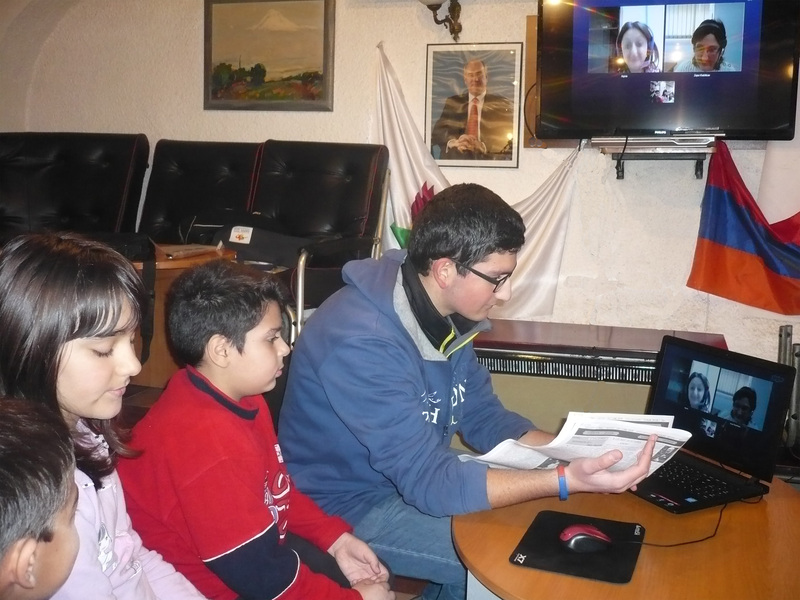 A subsequent online meeting with children from other countries who study the Armenian language.